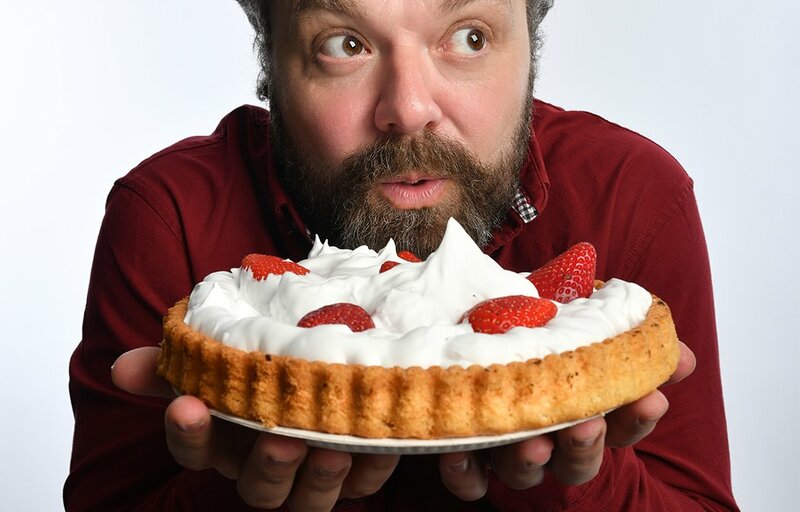 Unlike many contemporaries, Hal Cruttenden seemingly hasn’t created a persona. If he has, it’s a toned-down, less neurotic, version of himself. “I’m appalling,” he tells me. “My dad was a real rock of a man. He was very much: ‘Dad will deal with it.’ I’m more: ‘Mum will deal with it, and Dad will panic.’ Onstage you can revel in those shortcomings, but in life it’s not very helpful.” Obviously, he’s still comfortable with placing much of his life under the microscope. In comedy, for him especially, longevity means you can become more honest and interesting. He suggests you don’t get much choice in what style of comedy you take up. It needs to be something you understand and can embrace. “Mine is a confused mixture of wanting to be a radical dangerous sort of comic but continuing to do mainstream stuff about my family. That’s really going to sell to the Brighton crowd isn’t it?” he chortles. Like any loving parent might, he’s deferred to his children’s wit and wisdom for a new tour’s name. They repaid this trust by suggesting he call it Chubster. “I always slightly regret my shows titles, so it’s nice to have someone else to blame for it.” His kids are increasingly derided in his material as they get older. They enjoy any mention, even when it’s being horrible. With her classmates, one attended a show where he discussed why everyone thinks their kids are geniuses. “Mine are OK, but they’re not geniuses. The teacher later said to my daughter: ‘I nearly shouted out… because you are brilliant at art!’” The youngsters also recommended he start the new shows with Let It Go from Frozen. He’s subsequently spent a day in Kent with a choreographer, perfecting an accompanying dance routine. Seriously. A fervent desire for fairness spans his work. Not the nonsense neo-liberal concept of equality, but a genuine belief people should be considerate. Politics repeatedly creeps into the gags, hilariously dissected for cynicism and ridiculousness. He concedes it’s probably an obsession – and almost certainly unhealthy. Playing a Leave advocate in the critically-acclaimed play Brexit, during this year’s Edinburgh run, offered a revelation though. “There was a line, which went: ‘I know why you’re so upset. It’s because you lost. All the banks, industry, broadcasting, big business, Remainers in the Tory and Labour parties, – for once the establishment lost!’ That’s talking exactly about me. I could not believe we have a world where we could do this to ourselves. A lot of people are ready to take an economic step backwards, so they feel they have control again.” He suggests immigration should be even higher to bolster public finances and care for an aging population. A shock might be looming for people in their 30s and 40s who are ‘a bit liberal’. “We seem to be aping what happened in the 30s. ‘Where’s Isaac gone? Oh, look there’s the cabaret, let’s talk about the cabaret!’ All of us at school did that period of history… you can’t quite believe it’s happening.” It’s difficult to make events seem comically cartoonish and unbelievable when glorified opinions are increasingly extreme and cartoonish. If you want to mock the US President, you need only read out his tweets. Hal Cruttenden comes to Brighton’s Komedia on Weds 17 Oct 2018.